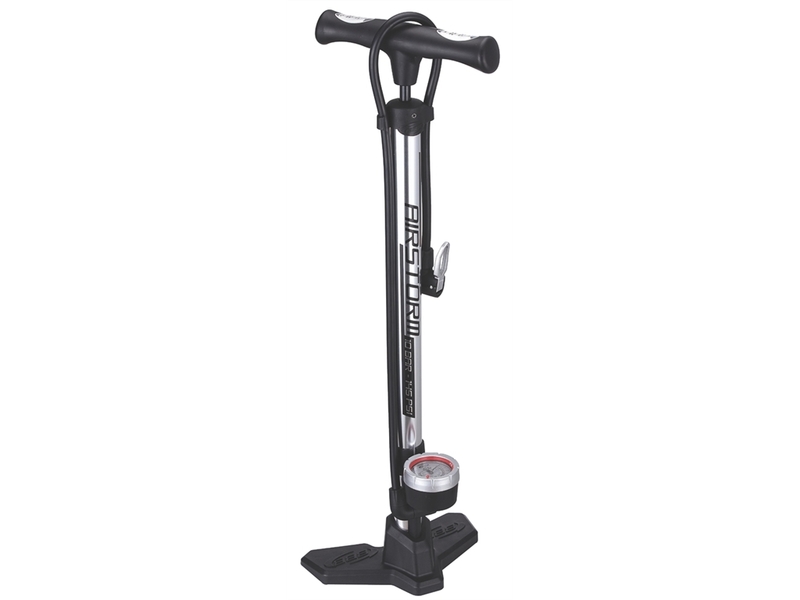 Aluminum floor pump. Inflates to 10 bar / 145 psi. Aluminum barrel with an overall length of 690 mm. Colors: polished silver and polished black.